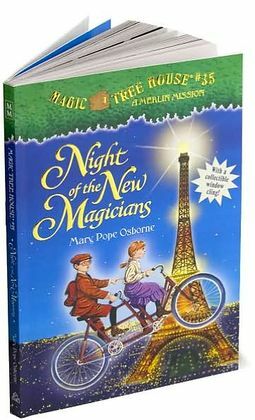 Merlin sends Jack and Annie on a mysterious mission to Paris, France, over a 100 years ago. There they must find four magicians and give them an urgent message from Merlin himself. When Jack and Annie land in Paris, they make their way to the 1889 World’s Fair. Below the Eiffel Tower, built especially for the fair, there are thousands of exhibits from all over the world. But how will Jack and Annie find the magicians in the crowds of people? And who are the magicians anyway? Jack and Annie are about to find out in another adventure filled with history, magic, and amazing surprises!